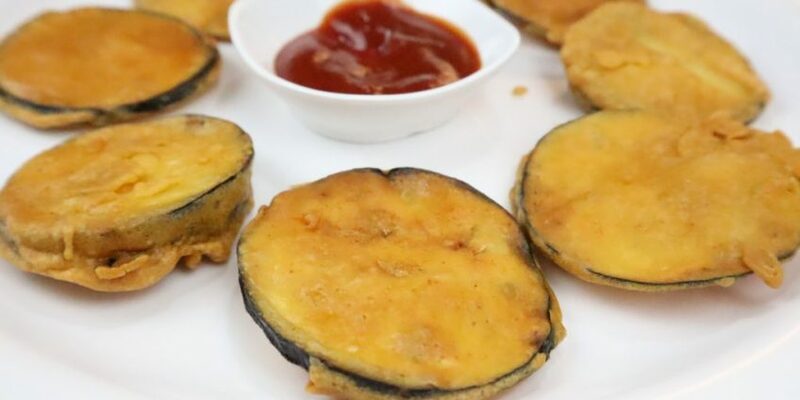 Brinjal fritters are an amazing snack recipe which crispy outside & soft inside. It tastes delicious and perfect for your evening snack time. picnic and even Sunday brunch. 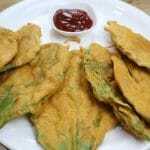 The Indian fritters are a really tasty and all-time favourite for kids in the house. Whether you are throwing a kitty party at home or if your guests are coming – you can always go for the fritters & there is no exception. Brinjal fritters are an amazing choice for long drives. Getting near to nature & feel good about everything. I generally go every 3 months to the trip for a short break. I get these fritters in my backpack and we enjoy in the car with music. Make these awesome fritters during your getaways and enjoy the aroma. Take a bowl. Add besan flour, corn flour, salt, chaat masala & red chilly powder. Add water and mix it well. Make a thick batter. Once ready, keep it aside. Cut the brinjal in slices. Soak it in water for about 2 minutes. Heat the oil in the pan. 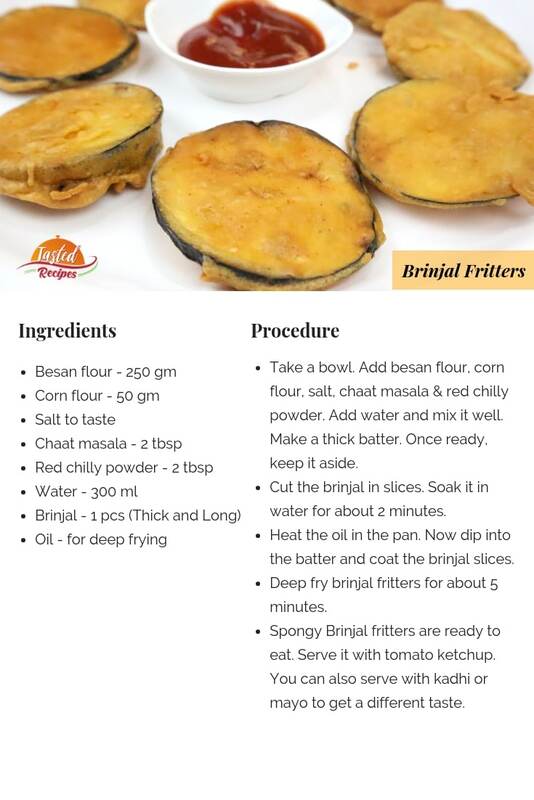 Now dip into the batter and coat the brinjal slices. Deep fry brinjal fritters for about 5 minutes. Spongy Brinjal fritters are ready to eat. 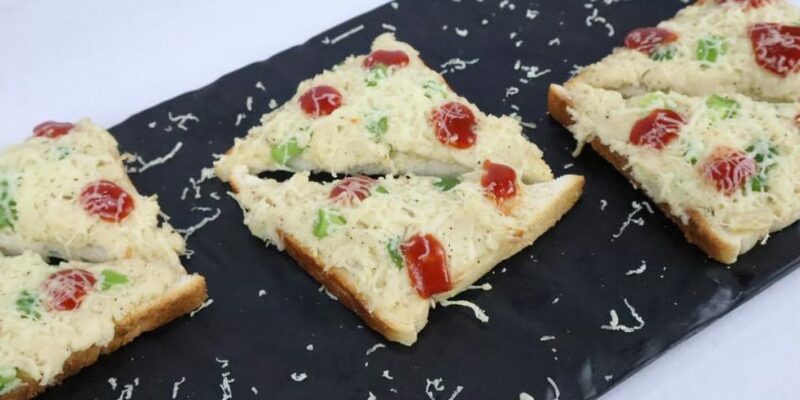 Serve it with tomato ketchup. 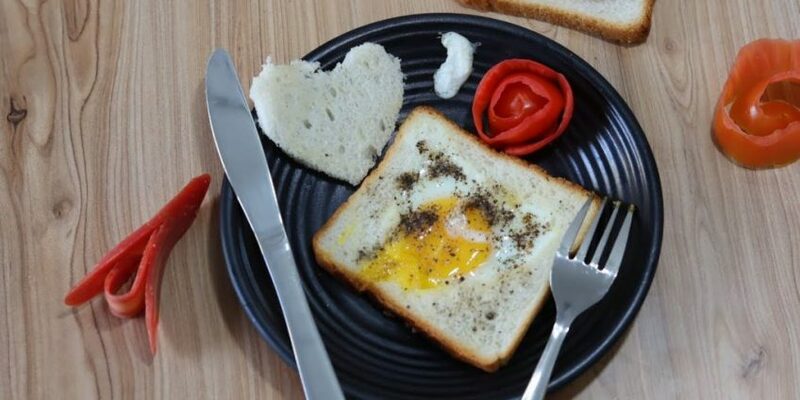 You can also serve with kadhi or mayo to get a different taste.